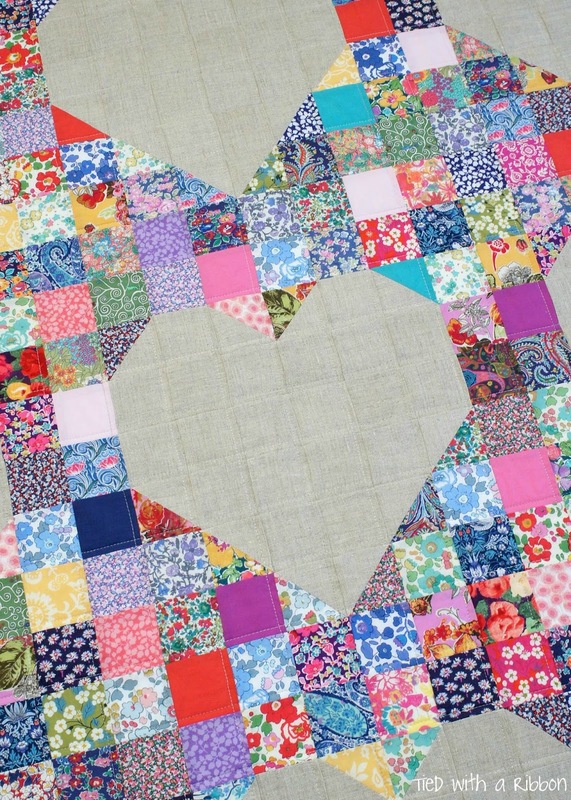 Tied with a Ribbon: Queen of Hearts Quilt - because everyone deserves a quilt fit for a queen! 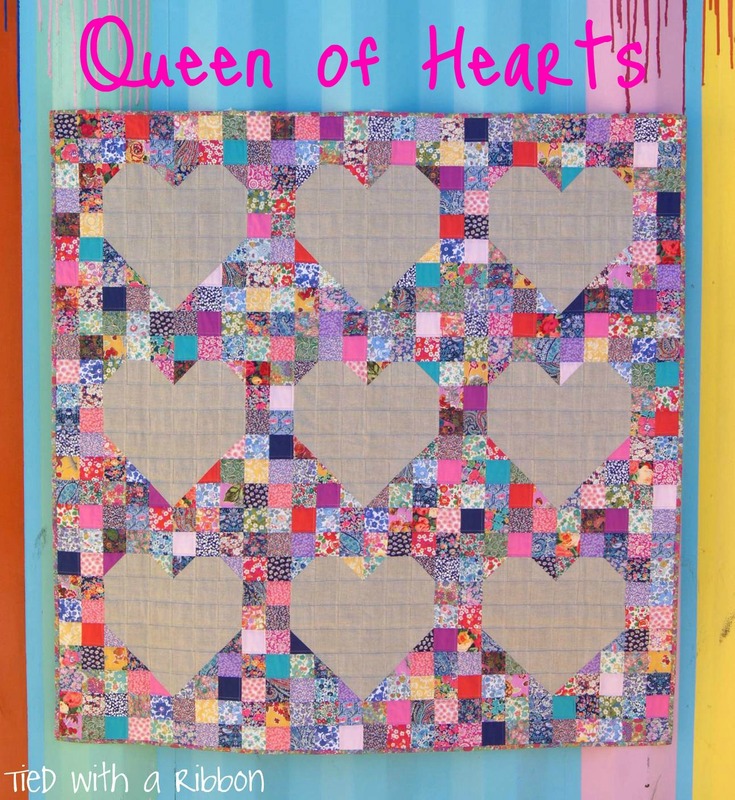 Queen of Hearts Quilt - because everyone deserves a quilt fit for a queen! 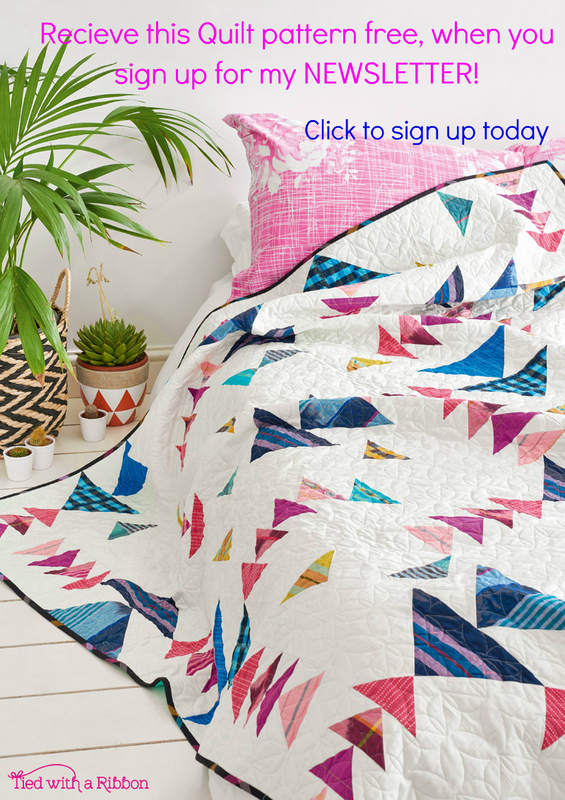 Introducing my latest quilt pattern - Queen of Hearts. 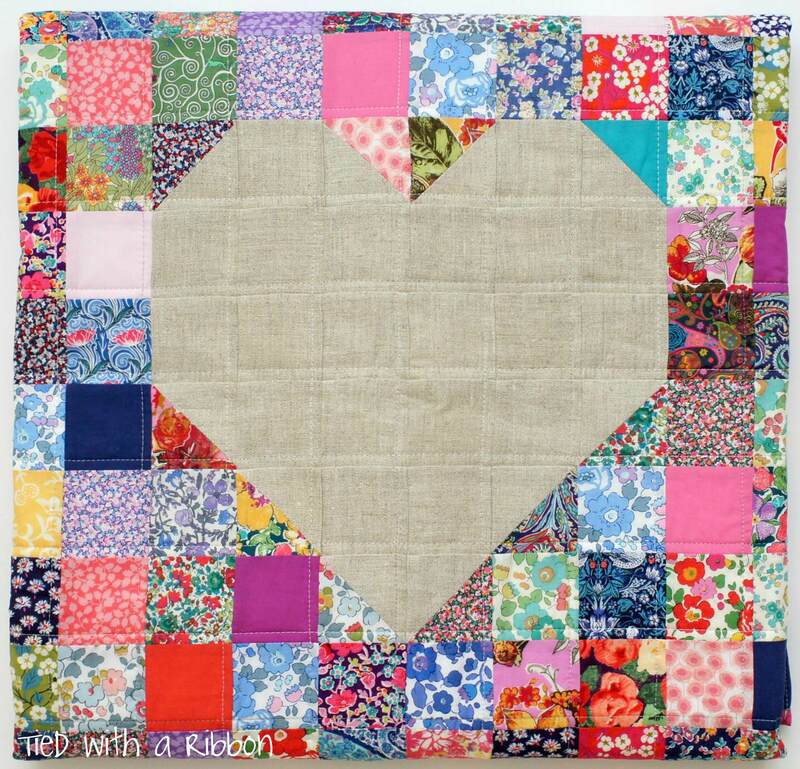 This lap size quilt (52.5in x 52.5in) design, features beautiful big bold Hearts to capture the beauty of all the feature fabrics around them. For this design I used Liberty Tana Lawns from Ava and Neve. 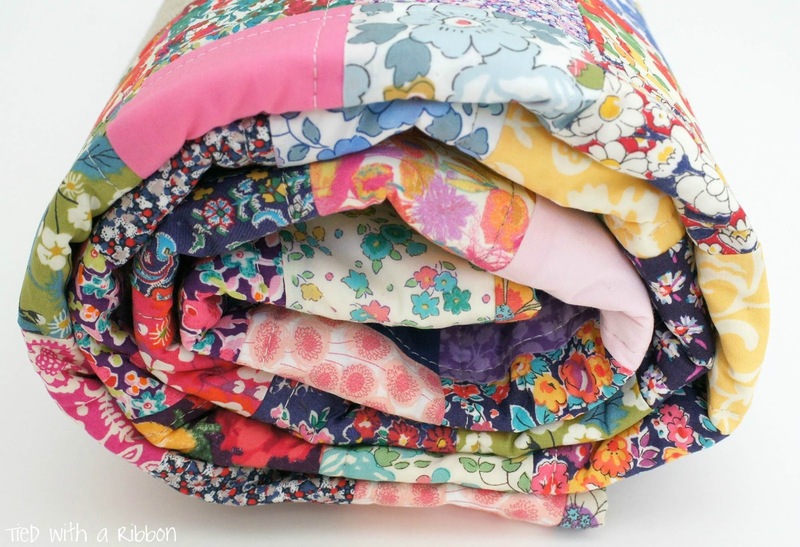 I chose Linen to make my hearts from as I wanted the Liberty Fabrics to do the talking and be the feature of the quilt around the hearts. 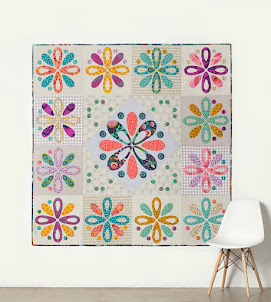 The pattern is Jelly Roll friendly and whether you are using fabrics you have been keeping in your stash for a special quilt or are wanting to make this from your over flowing scrap bucket - the result will be stunning. 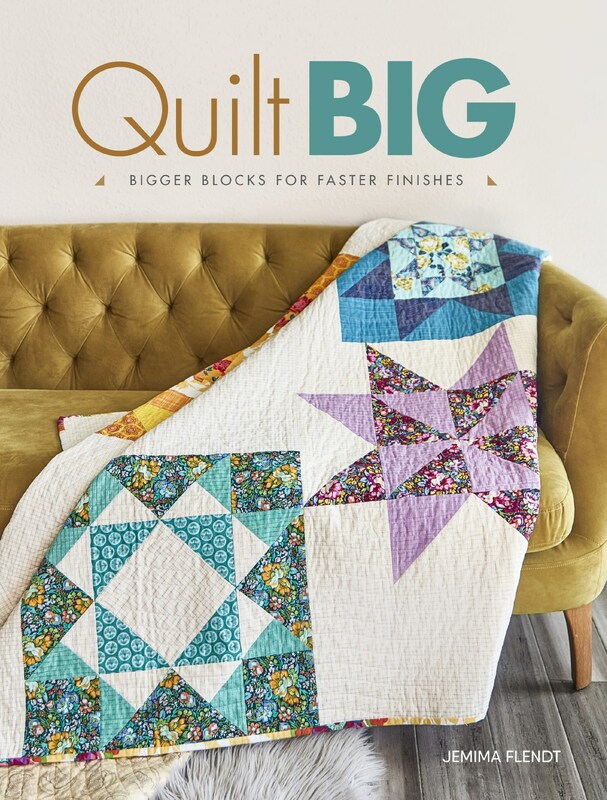 I used my favourite Aurifil Thread - #4060 Silver Fox in 50wt, to not only piece the quilt but also for the quilting on the top. 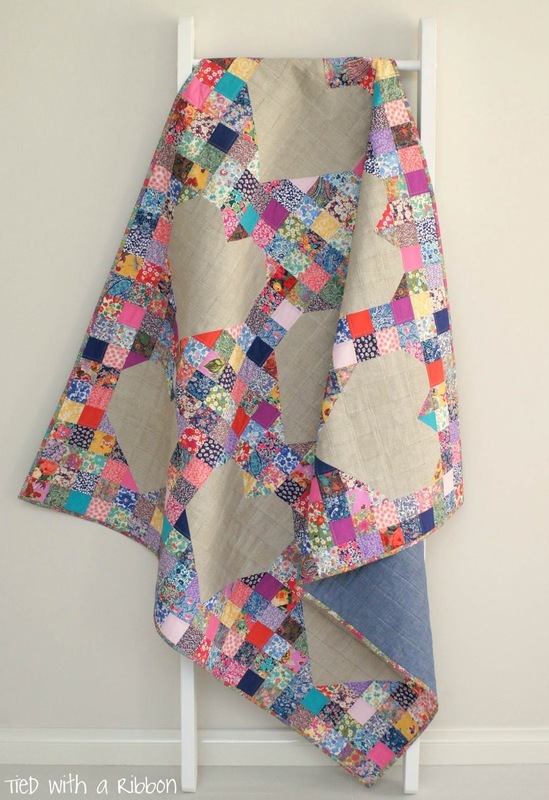 The variegated grey meant that no matter what colour I was sewing with it went across beautifully.